In 1986, the distillery became part of the United Distillers conglomerate, leading to the first “semi-official” bottling range in 1989, Flora & Fauna. Although official bottlings have not always been frequently released from Coal Ila, today they’re much easier to source. In addition to the official bottling, independent bottling of the whisky has been well received by the international whisky community. The 1993 12-year-old bottled by Wilson & Morgan received the silver medal at the Malt Maniacs Awards in 2005. Other independent bottlers have included Gordon & MacPhail, Signatory Vintage, and Alchemist. The view of the Caol Ila Distillery. As it has been ever since the distillery opened its doors, the pure spring water used in Caol Ila rises from limestone in nearby Loch nam Ban, and falls towards the sea by the distillery. The distillery is owned by Diageo, and has been one of the company’s “volume” distilleries since the late 1990s, meaning that it produces a high quantity of whisky each year. Their current production levels are fairly impressive. Caol Ila produces over three million litres of pure alcohol every year. The stillroom at Caol Ila is renowned for its incredible view over the Sound of Islay. The six wash stills stand majestically at a capacity of 19,000 litres, with the spirit stills at 12,000 litres, opposite a glass wall through which it’s possible to see seals playing in the sound. 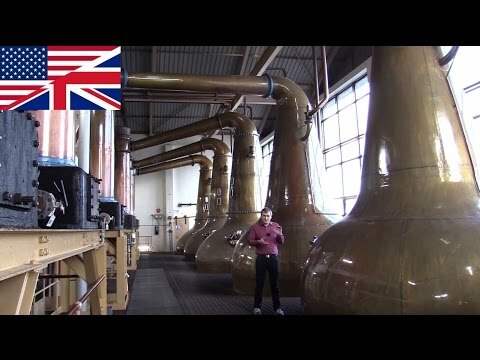 Although they were newly constructed in the early seventies, the stills are exact replicas of the ones in the old distillery. Both the wash and spirit stills have similar shapes, with large onion bases, no waists, and long, lithe arms stretching downwards. Since 1974, Caol Ila has been sourcing their malted barley from Port Ellen. The malt is peat-smoked on the other side of the island at the same site that produces the malt for Lagavulin. Some experts note a distinct difference in the taste of Caol Ila before and after the distillery started to use the Port Ellen maltings, observing that the “newer” whisky is lighter and cleaner than its predecessor. Although there is still a three-story warehouse at the distillery where much of the older whisky is kept, nowadays all Caol Ila whisky is sent to the mainland in tanker trucks and aged and bottled in a Glaswegian warehouse. Most of the single malts that come from Caol Ila are aged in bourbon casks, with some also in sherry wood. The whisky can handle extra years in the casks, and ages extremely well. A warehouse of the Caol Ila Distillery. Built in 1846, Caol Ila is the largest of the eight distilleries scattered across the Isle of Islay in the west of Scotland. The distillery sits on the isolated northeast corner of the island, facing the Isle of Jura. The name “Caol Ila” actually means “Sound of Islay” in Gaelic, and was named after the distillery’s close proximity to Jura. The road that leads to Caol Ila passes by a row of small houses and curves down towards the sea, allowing for a spectacular view of the Sound. For years this has been the road that the management and distillery workers have travelled. Perhaps due in part to its isolated location, the workers at Caol Ila have made commitment to the distillery a family affair. The current manager of the distillery, Billy Stichell, has worked there all his life – as did his father, grand father and great-grandfather. Their unbroken bloodline commitment is proof that, traditions still matter here. Caol Ila is a remarkable distillery in that it can boast almost completely consistent production since its opening, having only closed briefly during the Second World War due to regulations placed on the use of barley. Caol Ila changed hands multiple times during the 19th and early 20th centuries, with each new owner contributing to the expansion and development of the distillery. In 1972 the entire distillery was demolished and rebuilt to be able to function at a higher capacity. This expansion included advancing from two stills to six in order to meet the new high level of demand. The workshop of the Caol Ila Distillery. There is no formal visitor centre at Caol Ila, but it is possible to take a tour of the facilities. Share your experience with other whisky lovers. Write a note about your trip to the Caol Ila distillery.